Vice-Governor of St. Petersburg Mr. 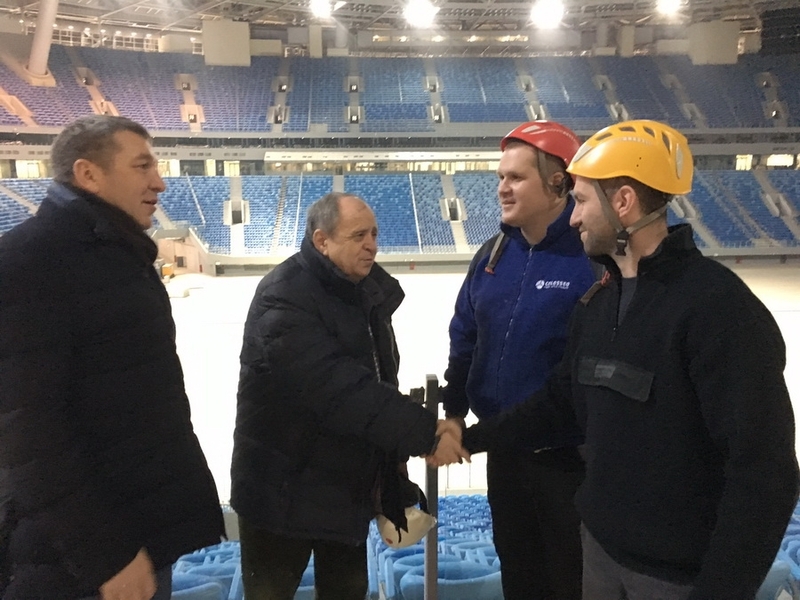 I. N. Albin visited Zenit Arena, a newly built and technologically most advanced football stadium in Russia, situated in St. Petersburg, during the holidays where he met with the Colosseo installation crew and wished them a happy and successful new year. Mr. I.N. 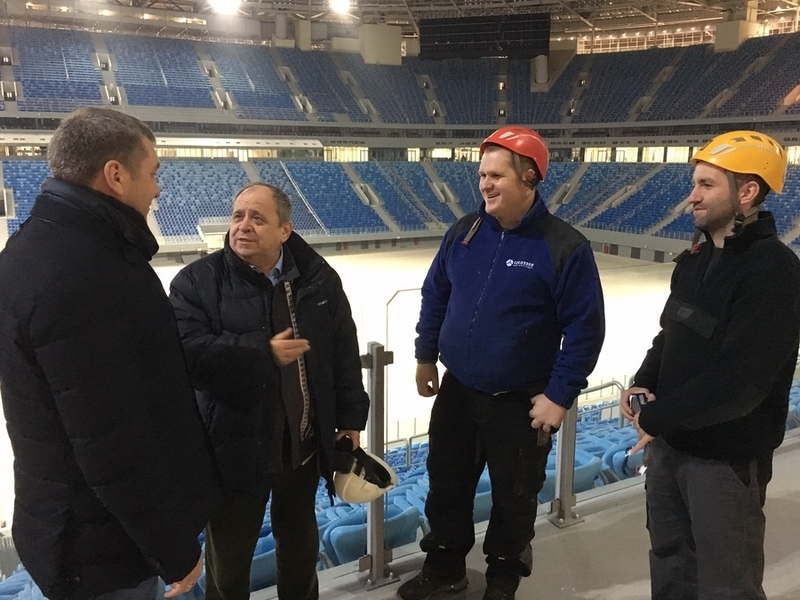 Albin who represents the administration of the city of St. Petersburg, which is responsible for the construction of Zenit Arena, appreciated the reliability and fairness of ColosseoEAS which seamlessly completed all its tasks, including working throughout Christmas and New Year’s to meet the agreed upon deadlines. Based on the aforementioned qualities, he expressed his desire for further cooperation in future projects. General Consul of Slovakia Mr. Augustin Cisar was also present during the visit and thanked Colosseo workers for the exemplary representation of Slovak companies abroad. 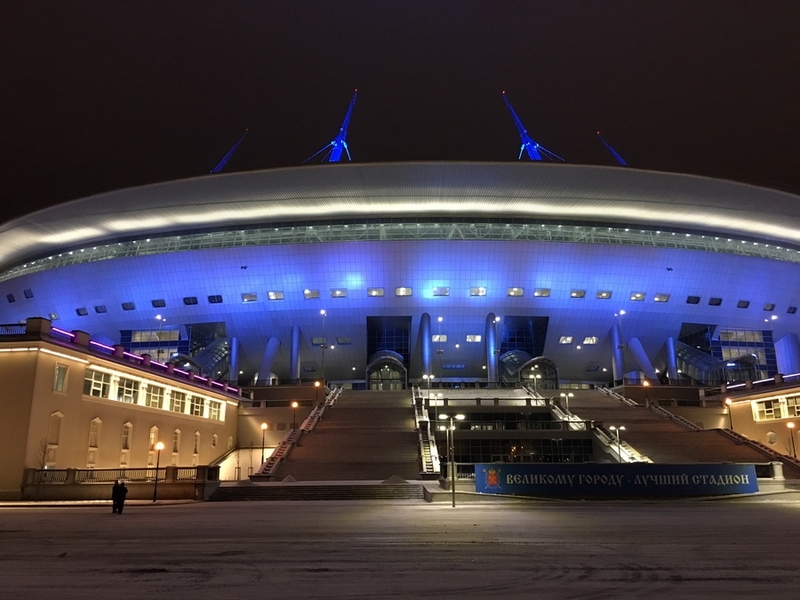 The installation of these spectacular world’s largest football stadium LED screens has been completed and we’ll be revealing more interesting facts and details about this amazing project soon!